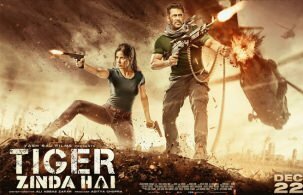 Tiger Zinda Hai starts with Ali Abbas creating a pretty intense backdrop for what he has in store for us. A bus full of nurses gets hijacked by a terrorist organization – ISC in Iraq. The officials in India decide to appoint Tiger for this missions. As we saw Tiger went into an exile towards the end of Ek Tha Tiger, but as Irshad Kamil clears in Zinda Hai song “Zinda hai zinda rahega woh jab tak marne ki usne thaani nahi”. Spending his family time with Zoya and Junior Tiger in the Alps, Tiger decides to back his country achieving a mission looking impossible on paper. He builds up his own team having a sniper, a techie, and a bomb defuser. Rest of the story uncovers the stages of this mission. It also shows how the movie is not just about Tiger’s task, it has a broader point of view which Ali reveals in the later half.